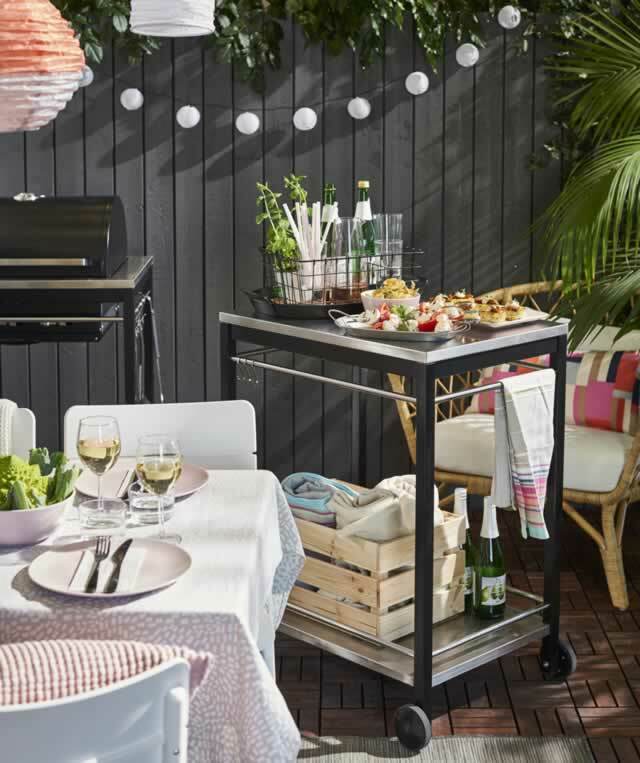 Fix a simple feast outside and celebrate summer with your loved ones. 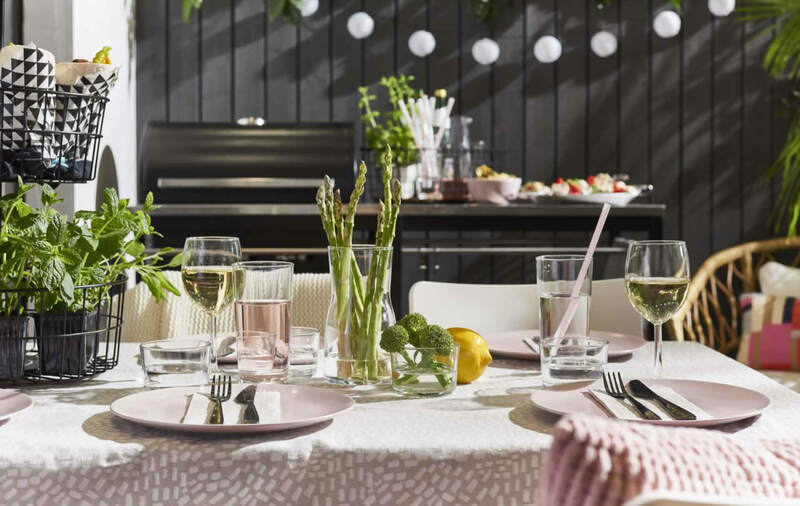 Get inspired by our tips to make planning your gathering a breeze. 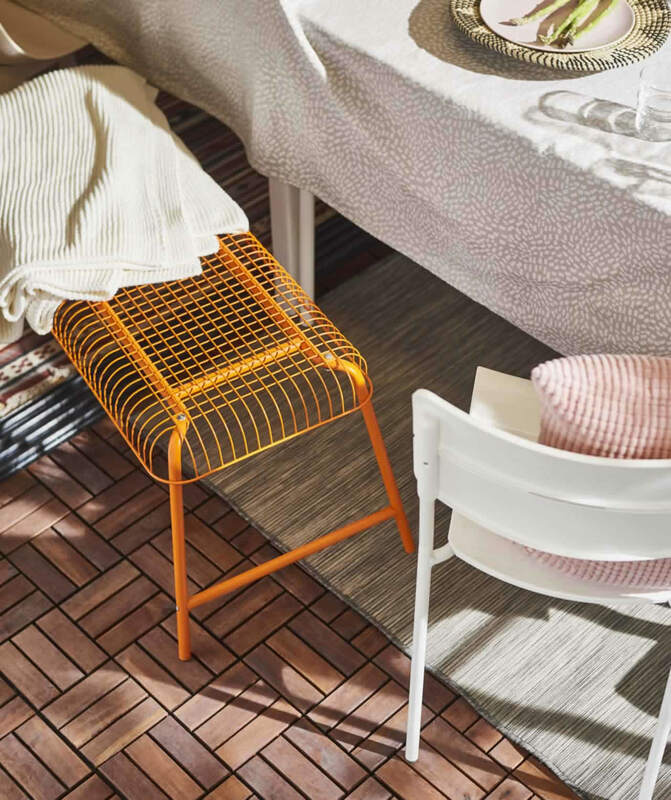 Mixing odd pieces of furniture, textures and colors will help the atmosphere to feel carefree and cozy. Make it easy for yourself by using what you already have at home. Put down rugs to make the overall impression more homey. Use throws and cushions to turn no-maintenance outdoor seats into comfortable extra places to sit. If space is tight, try putting all the food on the table. For a more flexible solution, use a buffet cart with wheels that you can bring to the table and push aside when it’s not needed. 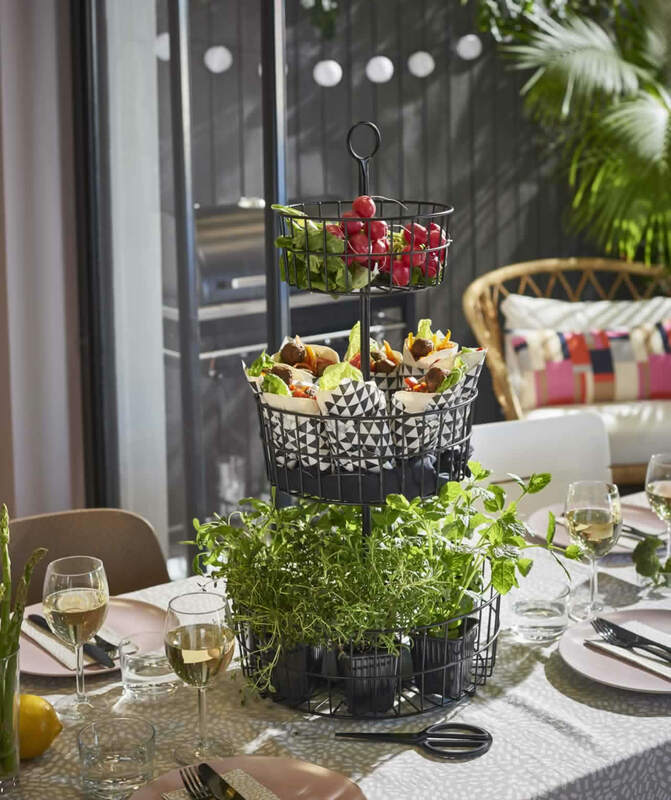 Serve refreshments in a wire basket with handles that guests can pass around. When it’s time for a refill it’s easy to carry back into the kitchen. When night falls maximize coziness with battery powered lamps that are handy for places where there are no sockets, like the great outdoors. We went for solar-powered pendant lamps and an LED lighting chain that you can leave out all summer. Just personalize with your favorite decorations — we used minimalistic white globes.